As beautiful and rugged as its island beach namesake, Kahana Strap Chaise Lounge is ready for any outdoor paradise. With an all-aluminum construction and weather-tough finish, Kahana Strap Chaise Lounges were designed for public spaces. 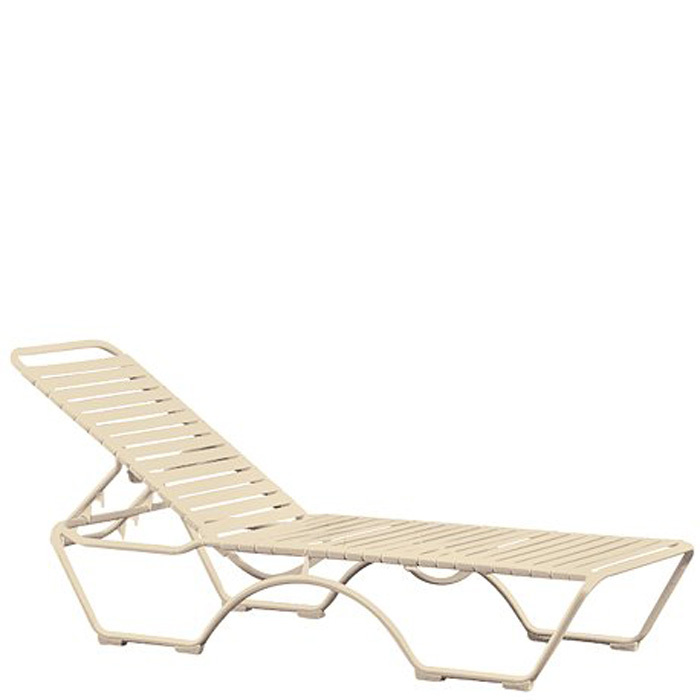 Kahana Strap Chaise Lounges stack for quick and easy storage and offers the optional seat pad. Paired with outdoor accessory tables, Kahana Strap Chaise Lounges welcome guests to the island lifestyle.